I haven’t shopped at dressbarn since college and I graduated a really long time ago. 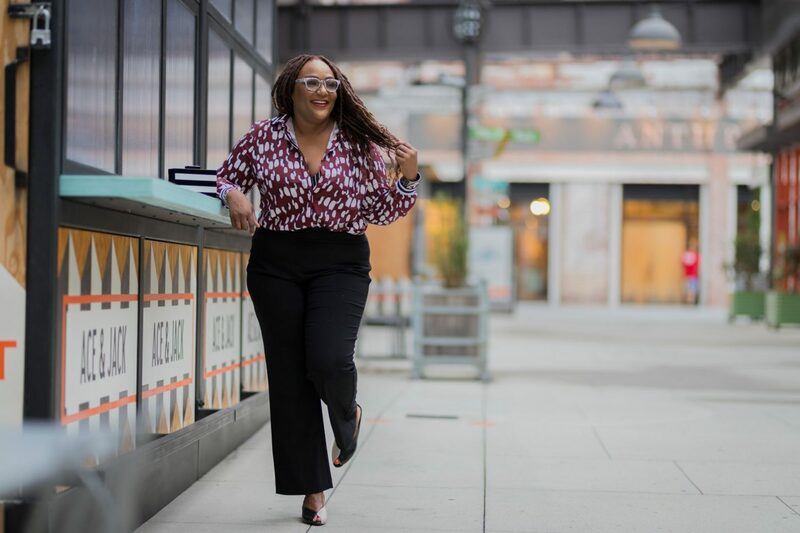 But after hearing about the brand’s Classic Fit Super Stretch pants and the Secret Agent pull-on trousers, I had to venture back in. And I’m so glad I did. 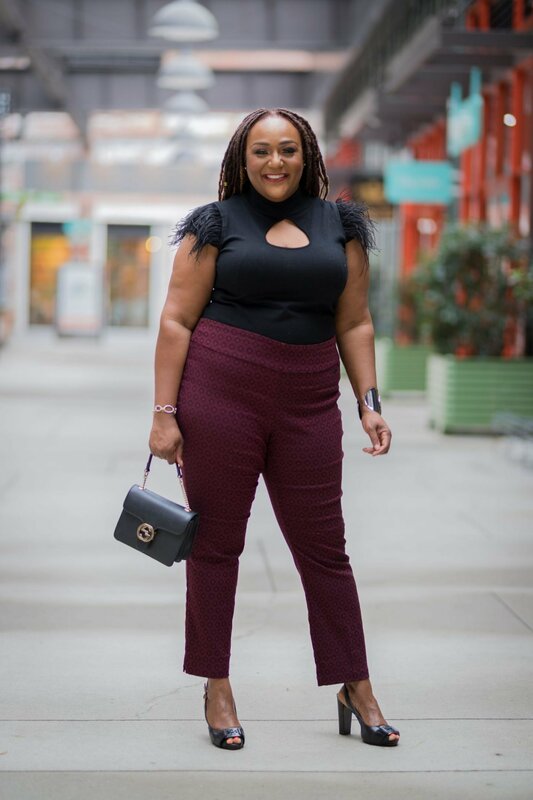 When dressbarn reached out to me to try these pants, I was excited about partnering with a brand I used to frequent in college. 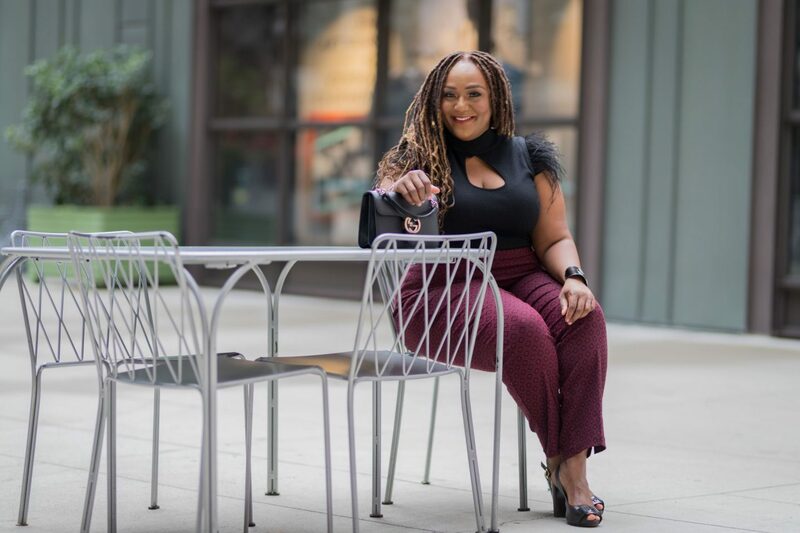 It was my go-to place for a quick cute look that was stylish, on-trend and affordable. 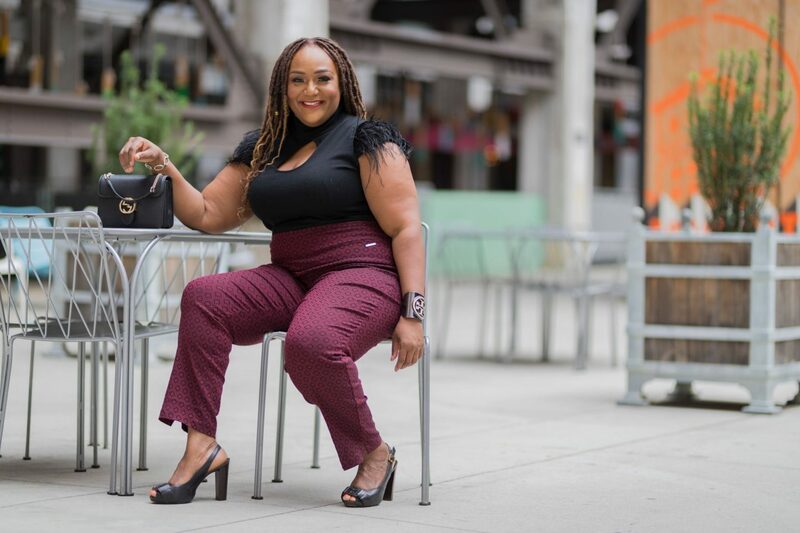 dressbarn has a great selection for women with curves, and is offering some of the most affordable and stylish clothing for women size 2 to 24. 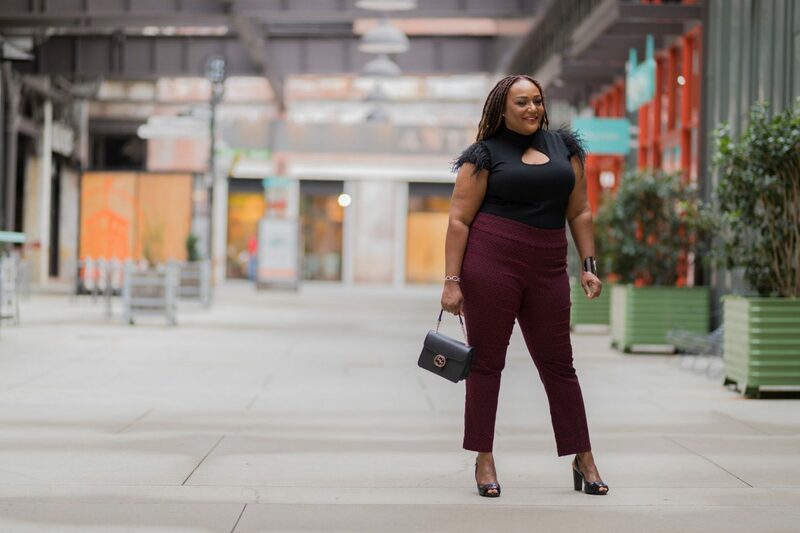 Let’s talk about the Classic Fit Super Stretch pants and the Secret Agent pull-on trousers. Both are amazingly flattering and oh so affordable! 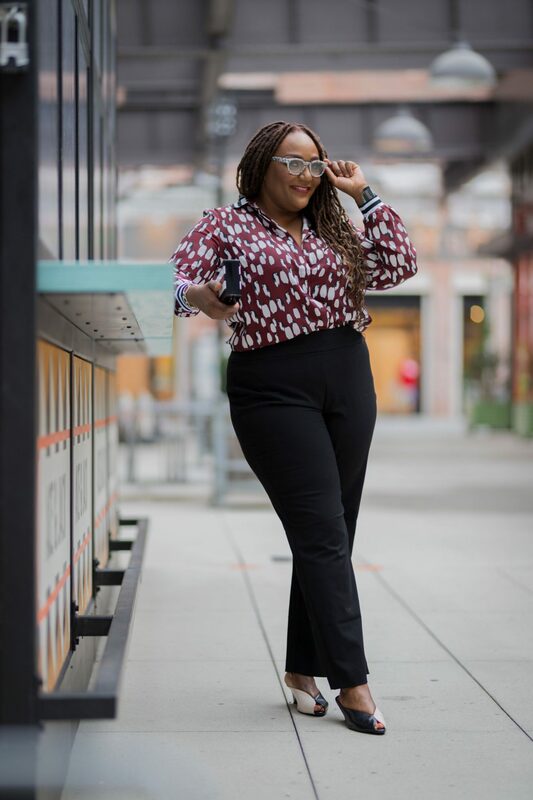 And under $40 is a really great price point for trousers that transition seasons and can be worn for work, play and travel. How cute are these? I love the burgundy color and the black geometric print that feels almost embossed on. 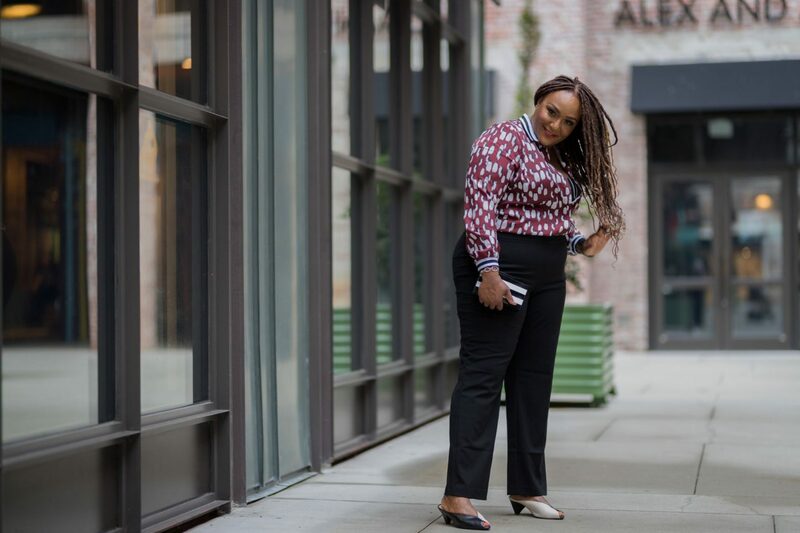 These pants bend, move and stretch in all the ways that I do, making them perfect for work, the weekend and everywhere in between. The wide waistband helps to minimize the appearance of stomach bulge and offer that slimming effect most women desire in that area. The fact that they are cropped allows them to be paired with sandals in the warmer months and boots or booties when temperatures drop. I plan on wearing them with a leather tunic and black boots as soon as it’s cold enough out! *STYLE NOTE: These particular pants are only available online. But they do run true to size (I am wearing the size 16) so you shouldn’t be too concerned about purchasing without trying on first. 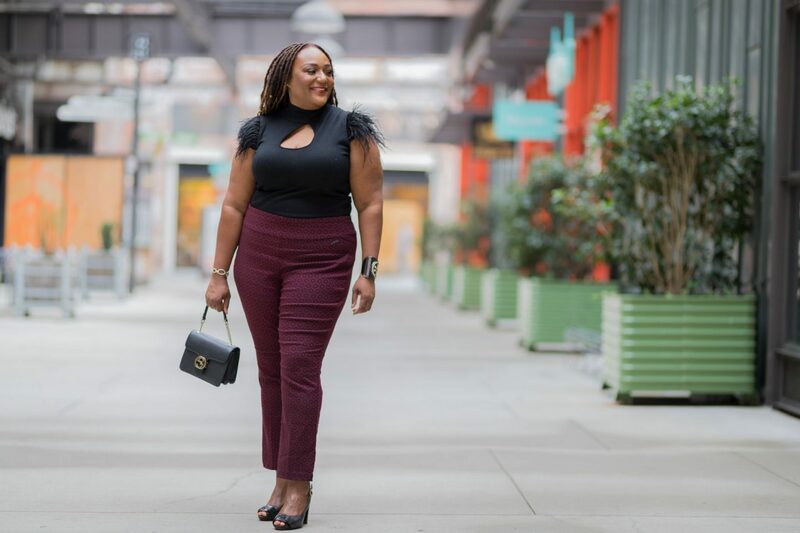 You can never go wrong with a classic pair of black pants. They are probably the most versatile piece of clothing in every woman’s closet. But when you can get your hands on a great pair that are a.) super slimming b.) extremely flattering and c.) amazingly affordable, you are winning. And dressbarn delivers that winning formula with the Secret Agent trouser. 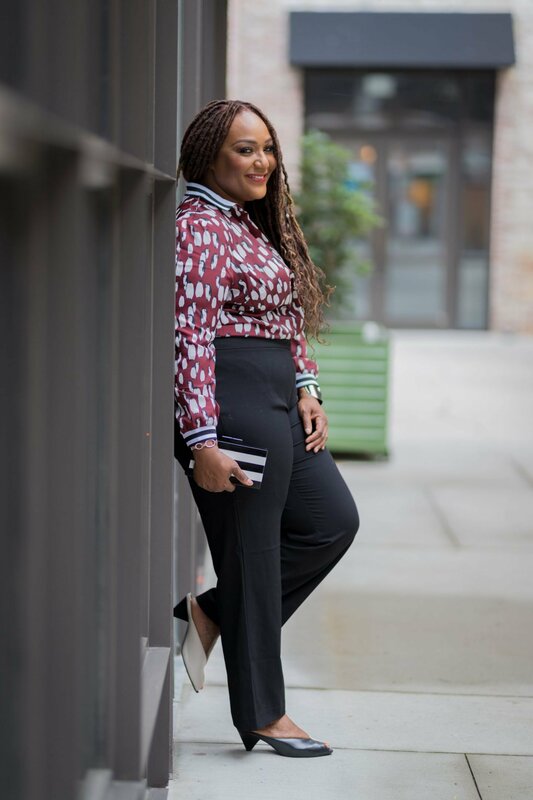 Considered dressbarn’s #1 pant that slims, shapes and smooths, the Secret Agent pull-on trouser features a hidden mesh tummy-control panel that secretly slims. It’s no wonder these are the brand’s most-loved pants! I love how they are a great foundation for this printed top but don’t get lost in the look. They will look just as great paired with a white fitted tee, a denim cropped jacket and red accessories. *STYLE NOTE: Now, unlike the Classic Fit Super Stretch Pant, these run a little small. I should have sized up to an 18, specifically for the length. I like my pants to hit the floor when I am barefoot and fall neatly below my ankle in shoes. The size 16 is a little short for me. Otherwise, these are great pants. So there you have it! 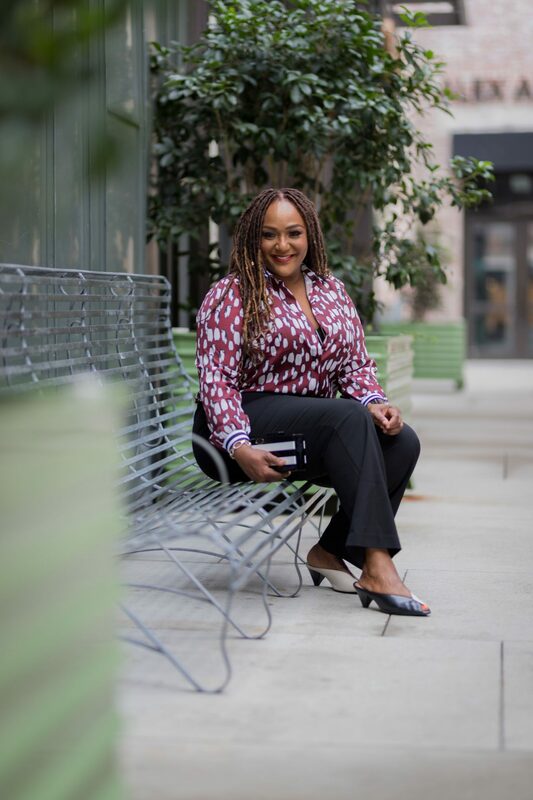 For great versatile pants, check out dressbarn. I highly recommend these two styles. Let me know in the comments which pair are your favorites. Also tell me which of these two looks best represents your own personal style. I love your feedback #Freehive! These look great on you. I have never been one to shop in Dress Barn, but I love these pants on you. I M on their website now looking at some items and see some cute options. Thanks for the info because I wouldn’t have thought to look at their products otherwise. LOVE IT!!! I was just thinking the other day I needed to re-up on my dress pants for work. Black of course is my favorite and I’ve already followed the link to the Classic Fit Super Stretch Pants on Dress Barn online and saw the black ones! I see they have some cute grape super agent pull-on trousers. They are nice!!!! You are wearing the heck outta those super stretch pants too! Let me get my card out! HAPPY SHOPPING SHERNAI!! Yes trousers! I love these looks and the trousers look slimming. Nikki, you’re looking SUPER FANTASTIC!!!! Love your style, here!! So versatile!!! Easy transition from work to “play”!! 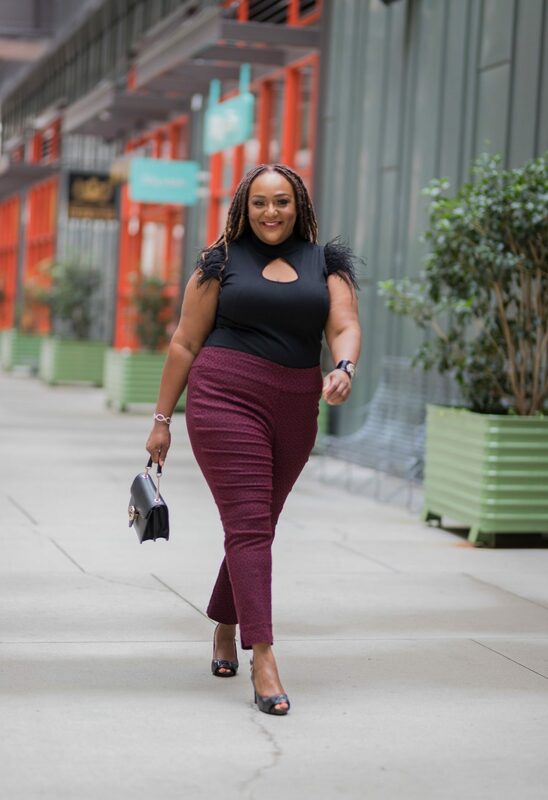 Girl, you always….SLAY! Nice! I really like the secret agent pull on trouser. I’m a difficult fit, so I’ll check them out. I wouldn’t have ever thought to shop at dress barn. I haven’t been to Dress Barn in a couple of years. Thanks for this post. I like the way the trousers fit you. I am ALWAYS in search for nice fitting pants. I will certainly go check these out. Nice, Nikki. Love the looks. I’ll have to venture over to their website to see what I can see. It’s been a long time since I’ve patronized Dress Barn. You’ve given me some ideas for the fall. Thanks. The pants look good on you and they look comfortable. The burgundy is a beautiful shade and you can never go wrong with black. I am in need of new pants and will check these out. One can never have too many good pair of trousers! I’m loving the fit of the secret agents on you! Simple yet classic chic! These look very comfortable and you always need some good trousers. Need to revisit Dress Barn for some fall looks.